Morning all, Jac here with another digi instalment for you. 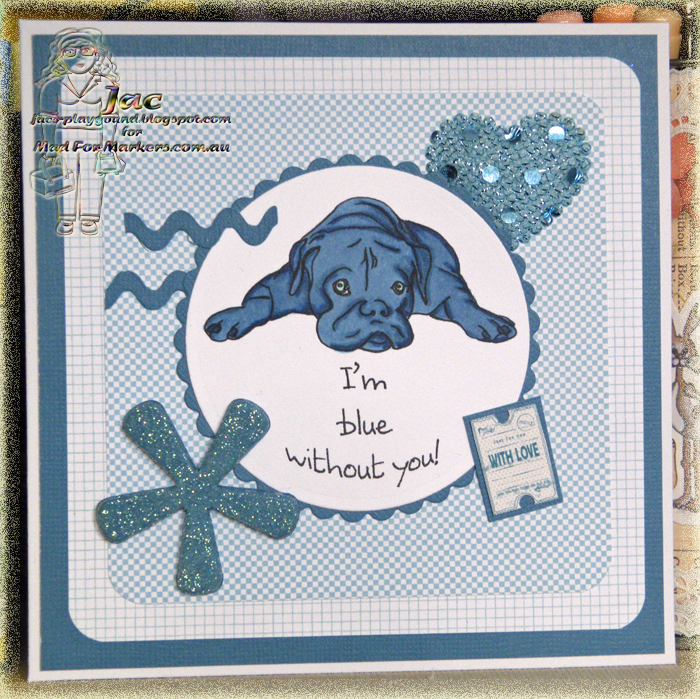 For my card I used the super adorable Mr Doll from the wonderful Doggies Collection which is available at the Mad For Markers Online Store. I coloured him in non-dog colours which is very different for me and it felt strange doing it but I am pleased with the result. I added my pc generated sentiment before printing him out. Coloured using B39, 93, 95, 97 & BG10. 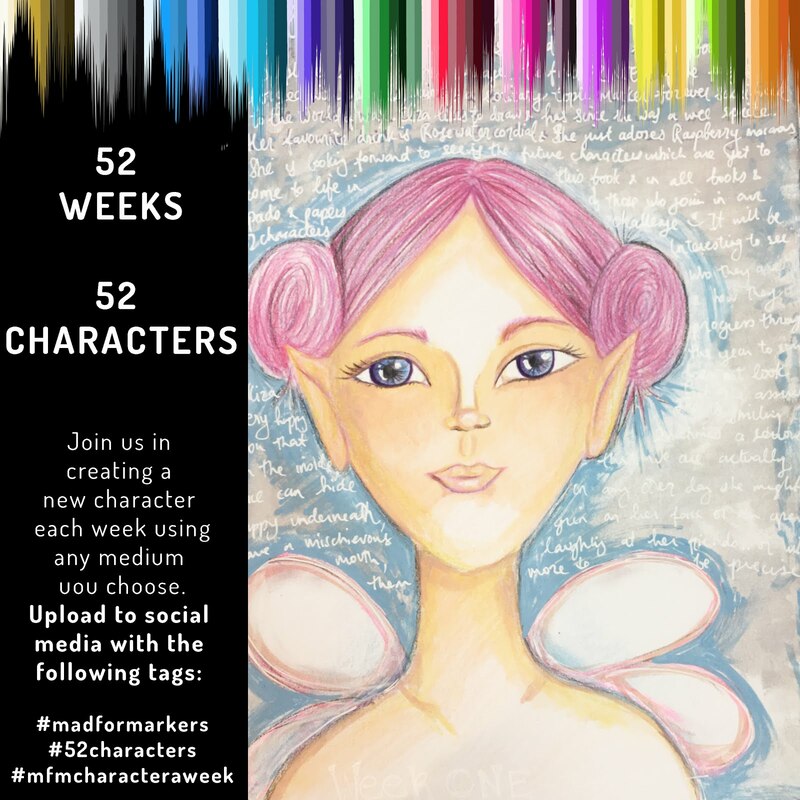 This would have fitted nicely with last months 'winter blues' challenge but it also fits with this months new challenge over at the Mad For Markers Challenge Blog which is 'Anything Goes' (using copics of course! lol). My papers are Paprmania Happy Days and all the rest is from my stash.